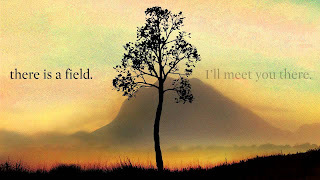 I’m a God fearing man, and perhaps that’s the reason I liked the book “And the Mountains Echoed” by Khaled Hosseini. Though it has nothing to do with either God, or life and death, but the book has a character better than most humans. Khaled Hosseini takes you from Shadbagh to Shadbagh-e-Nau via Paris, Tinos in Greece, and California, and anyone who can pronounce “a, b, c” would love that. But, there’s more to understand. There’s more to the book than what the commoner would suggest. It’s well written, and probably because Khaled Hosseini is a God fearing man too. That is probably the reason he chose to describe what any Amar, Akbar, or Anthony would look like instead of describing something which would indulge the reader to take him to another level of a mindset, and understanding, and then leave him on his own, to experience the world ahead. The book is somewhere in the middle of multiple short stories, to not ‘just being about a single character’. But each character, be it Adel, or Nila Wahadati, or Parwana or Iqbal are so much interrelated that getting “Goosebumps” while reading it wouldn’t even begin to describe the sort of a feeling one would have, while reading the book. The book ends with Pari realizing how close she has always been to her brother (Abdul) through his memories and through hers; and through her brother’s dreams. Both, the ones that Abdul used to have, and the ones that his daughter gave him. Having read “The Kite Runner”, and “A thousand Splendid Suns”, I wouldn’t lie to myself or anyone else by saying that I did not expect more from Khaled Hosseini. One would be touched to know more about Nila Wahadati, and her life; or why Timur ended up helping Ana’s daughter (Roshi), instead of Idris. But I suppose a path more travelled is the one that brings promises along. It is a MUST READ for everyone, just like Hosseini’s other two books. very well summed up. the book was read by me after reading your review & could not leave it aside till i finished reading it. Hey! I just saw this. Thanks a ton!